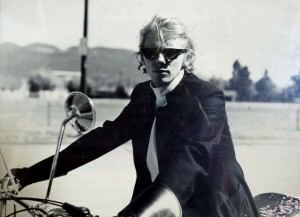 In the 1960s, Andreas Schroeder (above) rejected Mennonite beliefs in favour of UBC Creative Writing and a motorcycle. A half-century later he has provided an overview of the UBC department. 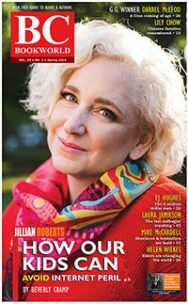 This year UBC Creative Writing marks its 50th anniversary as the longest, continuously operating department of its kind in Canada. Andreas Schroeder, who enrolled in the neophyte program in 1965, recalls how and why it has endured and flourished. Andreas Schroeder completed his MFA in UBC Creative Writing in 1972 and has since taught in the program in various part-time capacities for four decades. “There were a few gaps,” he says, “when I spent time in the Middle East and Australia and Europe, and various writer-in-residences across the country, but UBC Creative Writing always remained one of my constants.” Here he recalls its origins, recalls its shortcomings and celebrates its strengths. In the Fifties and early Sixties, Earle Birney, the program’s eventual founder, wasn’t exaggerating when he described young writers enrolled at UBC as “naked in academe.” Getting any sort of respect for Canadian literature or the people trying to write it was a major struggle. Right after the war, young veterans had poured into Canada’s few universities on the government’s nickel, quickly bursting the institutions’ seams, and forcing the administrations to import planeloads of British and American academics to staff them. Those teachers, knowing little about Canadian life or culture, naturally taught – and favoured – what they knew. Nobody cared about Canadian Literature, nobody was teaching it, and nobody was prepared to make room for it in Canada’s educational institutions. Earle Birney (above) co-founded the department with English prof Roy Daniells. Birney was in fact a poster-child for the problem. Born in Alberta, raised in western Canada, he had the nerve to set many of his poems and fictions in recognizable Canadian locations and used a writing style more closely related to Canadian speech – but got nothing but grief for it from UBC’s English department where he was a faculty member. None of his books of poems or novels were ever accepted as legitimate achievements for promotion or salary increases. He had to become a Chaucer scholar to make any academic headway at all. His department head, Roy Daniells, never let him teach more than a single creative writing course per year during his entire teaching stint at UBC. And by the early Sixties he had become mightily frustrated about that. But that’s the kind of personality it took to bulldoze a clearing for CanLit and creative writing at UBC, and Birney drove that bulldozer very effectively. Ironically, it didn’t do him much personal good. When he discovered that UBC wouldn’t let him actually head up the new department – that was left to one of Birney’s former students, Robert Harlow to do – he left UBC in a huff and never came back. Thus he never actually taught any courses in what became Canada’s first university Creative Writing department. The primary purpose of UBC’s Creative Writing program was to provide training, support and community – in other words, “literary clothes” — for the rapidly growing number of young Canadian writers who wanted to develop literary voices that resulted from, were embedded in, and fearlessly expressed the preoccupations of the times in which they lived. Voices, in short, that were not simply imitations or pastiches of already existing British or American voices and preoccupations. It might be interesting, at this juncture, to briefly speculate how all this might have turned out had Birney managed to make his move half a dozen years earlier, when what I’ll call the “first” wave of young Canadian writers arrived at UBC. Enrolled mostly in English studies in the late Fifties/early Sixties, these included, among others, George Bowering, Daphne Marlatt (then Buckle), Frank Davey, Betty Lambert, Judith Copithorne, Fred Wah, Jamie Reid and Lionel Kearns. In his recent memoir “Tish Happens” (ECW Press), Davey describes how it felt having to steer a course between UBC’s “British” literary contingent – young men “affecting British accents and wearing Angry Young Men coats” – and the far more interesting influences of the American avante-garde poets Robert Duncan, Charles Olson and Robert Creeley as promoted by Warren Tallman, an American professor in the English department who became their de facto literary ambassador in Canada. Known collectively as the Black Mountain poets, their concept of “projective poetry” took this group of young Canadian writers by storm and became one of the main organizing principles by which they subsequently defined themselves. The literary magazine they founded to promote these principles was called TISH. Most of these young writers took Earle Birney’s creative writing course during their time at UBC, and it’s tantalizing to speculate about what the nature and literary orientation of UBC’s Creative Writing Program might have become had these writers formed its pioneer cohort. Historically, it was a very near miss. And in a sense, that group probably influenced UBC-CW’s artistic/stylistic direction anyway, because by the time the program was founded, the TISH group’s fervent embrace of Black Mountain poetics had become such a polarizing force at UBC that the Creative Writing program’s own more European orientation probably came about in considerable measure as a reaction against it – ie. anything but the Black Mountain kool-aid. I mean, here we were in the middle of the Sixties, finally throwing off the shackles of both British and American literary colonialism, struggling to give voice to Canada’s own unique narrative, and yet right in front of our noses was this group of Canadian writers apparently re-enacting the problem all over again — passionate devotees of a triumvirate of American literary gurus, from whom they were almost literally taking their writerly marching orders, and condemning all other styles of writing as anathema. At one point, Robert Duncan actually sent TISH an article entitled “For the Novices of Vancouver”, like a spiritual leader sending advice to his disciples. The optics looked appalling – which, in retrospect, I don’t claim to be accurate, merely irresistible. It led to a series of almost tribal literary scuffles, including disrupted readings, grant and prize jury favoritism, negative book reviews based on membership not content, and a good deal of sandbox politics gussied up with intellectual bafflegab (to which I also plead guilty as charged, without much of an excuse). I suspect we would all have been better off writing more books, or jogging. 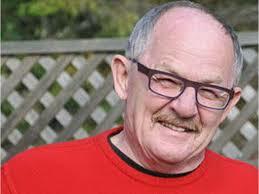 George McWhirter served as Head of UBC Creative Writing, having attended as a student. Ironically, the newly minted UBC Creative Writing Department (whose early cohorts included such writers as George McWhirter, Charles Lillard, Derk Wynand, Meredyth Savage, Elizabeth Gourlay, George Payerle, Michael Finlay, Tom Wayman, Stephen Miller, Dennis Foon, Ken McGoogan, Margaret Hollingsworth, Robert Sherrin, David Moses, and Robert Bringhurst) proved not entirely immune to American cultural influences anyway. Earle Birney had always encouraged the most promising of his writing students to go to Iowa as a sort of literary finishing school, and Bob Harlow had gone there, so when he became CW’s first Head, he chose Iowa’s studio model – which the program still uses today. But there were big differences, too. Due perhaps to lingering English Dept. influences, writing and reading were still seen as an inseparable package. Each writing course included massive reading lists that included as many as 50 titles, of which you had to read (and be quizzed on) at least half. Frankly, I don’t know how we did it. Adding up the minutes in a day, I can’t make it work, but somehow we managed. Today, we still encourage our students to read whatever books each professor considers germane or seminal to their genre, but those monster lists have disappeared. Omnivorous reading remains an excellent way to learn how to write – far better than talking about it or even studying it — but the relentless practice of actual writing is considered most effective. Other significant changes over the years would have to include gender balance. In those early days, very few women enrolled in Creative Writing. Very few women taught Creative Writing. In all my years as a student in this program I never had a female professor, because there were none. That didn’t start changing until the Eighties. Also, at the beginning almost all our faculty were English teachers who’d merely done a bit of writing, not writers who did some teaching. 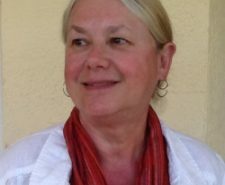 As a result, by the early Seventies, many of the program’s students were vastly out-publishing their own professors, and often working in forms their teachers hadn’t encountered before. I remember Jake Zilber calling me into his office, pointing to a manuscript of my surrealistic short fictions I called “modern parables”, and saying: “Andreas, I haven’t got a clue what these things are supposed to be, so how about I just give you an A-minus?” I agreed, and we both got on with our jobs. Another difference was genre emphasis. In the Sixties and early Seventies, poetry was king. Everybody seemed to be writing it; the demand for poetry courses was three and four times as great as for any other genre. Translation was bigger too; we offered three sections of it. Fiction was popular, but nowhere near as popular as it is today. Non-fiction was just beginning to be considered literary enough to include in the curriculum, and “creative non-fiction” hadn’t even been invented yet. That had to wait until the beginning of the Nineties. On the other hand, some things have never changed, and one of those is the community aspect of the CW program. 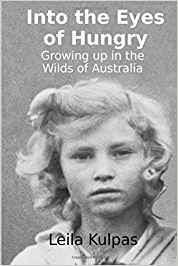 Sooner or later, each year’s intake of anxious, hopeful, despairing, inspired, arrogant, confused, ambitious and desperate young writers always coalesced into a family. During my own undergrad years about a dozen of us even lived together, in one of those huge four-storey, rabbit-warren houses on the Fairview slopes, which quickly became the department’s unofficial party annex. And here I want to say – and these are the only personal comments I’ll make – for a young, utterly out of his depth Mennonite kid only recently escaped from his religious confines, this probably constituted the biggest stroke of luck of my life. The Mennonite elders weren’t initially much troubled when I left. They knew from long experience how unlikely I was to succeed. Totally ignorant of how to live in secular Canadian society, prone to constant gaffes and the resulting ridicule, most escapees soon returned with their tail between their legs. It probably would have happened to me, too, if I hadn’t had a passion for writing and somebody told me about UBC’s Creative Writing Department. The people I met there were truly obsessed with their craft – nothing much else in their lives mattered — and that I understood and could do. Elder Wiens stalked me for about a year, expecting any moment to pick up the pieces and return me to the Mennonite fold, but it never happened because I’d found myself a new family, a family whose definition of salvation proved far more fascinating and absorbing than anything Elder Wiens had on offer. I’ve been told that I became one of his life’s biggest disappointments, and I savour that fact to this day. That said, we’re still talking about writers, not ordinary citizens, so there was always plenty of chaos and uproar in the department. One contributing factor – quite widespread throughout the university in those days – was the practice of professors sleeping with students. 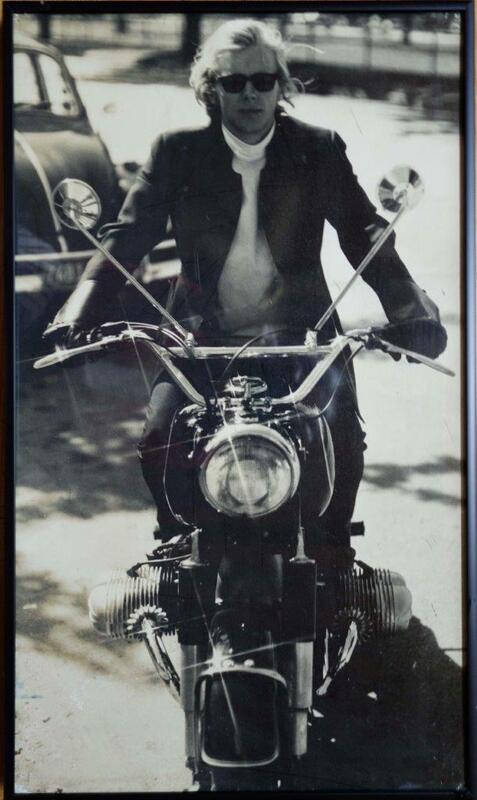 Somehow, nobody seemed to think that was a problem – not until the Eighties, when the gender balance began to change. Bureaucratic feuding was also common; the faculty squared off into factions at regular intervals to fight over minor administrative details with the vehemence of religious wars. A visiting Scottish poet-in-residence ran off with a faculty member’s wife and was sued in criminal court for “alienation of affections” – only dropped when it was discovered that for the charge to stick, the wife would have to be considered the husband’s personal property. And on a single night at the CW’s unofficial annex on West 7th Avenue, nine conjugal relationships came unglued when a fire in the house sent everyone scrambling madly for what was most important to them — and when the lights came up, ten writers could be seen standing on the lawn below, surrounded by boxes and piles of precious manuscripts, while their partners were just crawling out of the smoke. Only one of those relationships reportedly survived that stress-test. The Eighties also brought big changes, though more gradually. Fiction replaced poetry as the department’s major draw, and Translation began to fade when Michael Bullock retired. More women joined the faculty, eventually resulting in an almost 50/50 balance, but among the student body the re-balancing continued until it became almost a reverse image of the Sixties: 80% women, 20% men. I know that during the past two decades I’ve had a number of graduate classes that were comprised entirely of women students. UBC Creative Writing was always under financial pressure – deans routinely complained about our low student-teacher ratios – but during the Nineties that pressure increased to crisis proportions, to the point where the presiding dean actually questioned the legitimacy of our very existence in a university. Class sizes were forced to increase, from 12 to 15 in the MFA, up to 17 and occasionally even 18 in the BFA. To save money the university forced us into a shotgun marriage with the Dept. of Theatre & Film, which proved disastrous and never did save any money. Reading the tea-leaves, we decided to undertake a number of our own initiatives to raise money to protect the program. We tried a few runs at fund-raising (only modestly successful), then tried our hand at a low-residency online grad program to parallel our on-campus one. That worked out extremely well, and became the first in a series of similar curriculum-related moves (large-enrolment lecture classes, CW minor, etc.) that have all been both pedagogically and financially successful. Our faculty also underwent significant changes during these decades. Once our first generation of faculty retired, hiring became based primarily on the applicant’s publication record. Today, every faculty member on our roster is a practicing professional writer or practitioner (in an ever-widening sense of that word) as the range of our genre offerings steadily increases. We teach the largest selection of genres in North America, and quite probably in the world: fiction (long & short), poetry, creative nonfiction, screenwriting, playwriting, comedy, translation, children’s & young adult, radio (drama & documentary), lyrics & libretto, graphic fiction (incl. manga), and new media. The size of our faculty has more than quadrupled (42), and its average age has plummeted, as more and more successful younger writers have been brought on board. During the past two decades, their infusion of energy and ambition has become a major contributor to the initiatives that have made this program the success it has become. Today, we have over 3,000 students enrolled in one or more of our creative writing courses every year, though our grad programs (approx. 210 students) and Majors program (approx. 60 students) remain our primary focus. We have always been, and remain, the only program in North America requiring all our Grad and Majors students to try their hand at three separate genres as part of their degree. The list of our most successful graduates runs into the hundreds, and includes Madeleine Thien, Annabel Lyon, Anosh Irani, Kevin Patterson, Charlotte Gill, Steven Galloway, Nancy Lee, Andrew Westoll, Lynn Coady, Stephanie Bolster, Sara Graefe, Roo Borson, Eden Robinson, Kevin Chong, Dennis Foon, Bill Gaston, Keith Maillard, George McWhirter, Barbara Nickel, Lee Henderson, Aislinn Hunter – and many, many more. 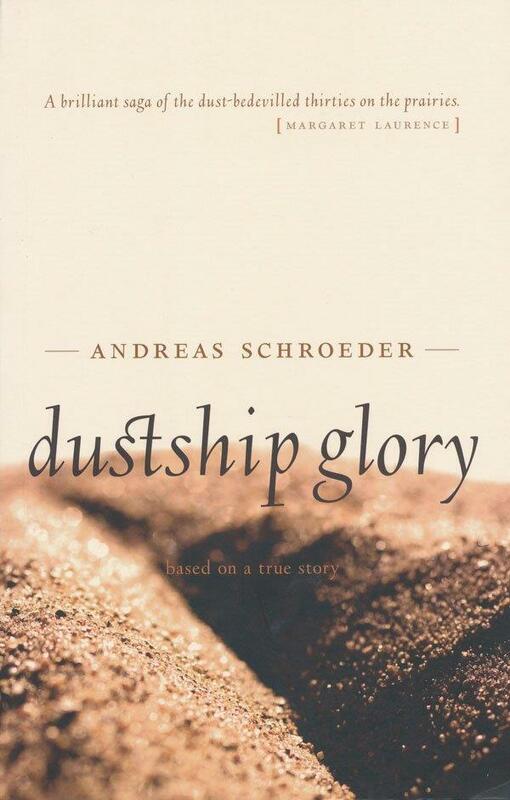 Andreas Schroeder’s class novel Dustship Glory has been re-issued recently by University of Athabasca Press. Robbers! (Annick Press, 2012). Young adult, Non-fiction. Duped! (Annick Press, 2011). Young Adult Non-fiction. Renovating Heaven. (Oolichan Books, 2008). Three novellas. The Eleventh Commandment. (Thistledown, 1990). 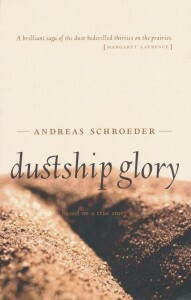 Dustship Glory. (Doubleday Canada Ltd., 1986). Novel. Re-issued, with afterword, from University of Athabasca Press, 2011. Schroeder’s most recent YA non-fiction book ROBBERS! True Stories of the World’s Most Notorious Thieves (Annick) has just been nominated for the Ontario Library Association’s Silver Birch Award.